Brent Rooker hit a two-run home run -- his seventh -- and the only homer in the game. 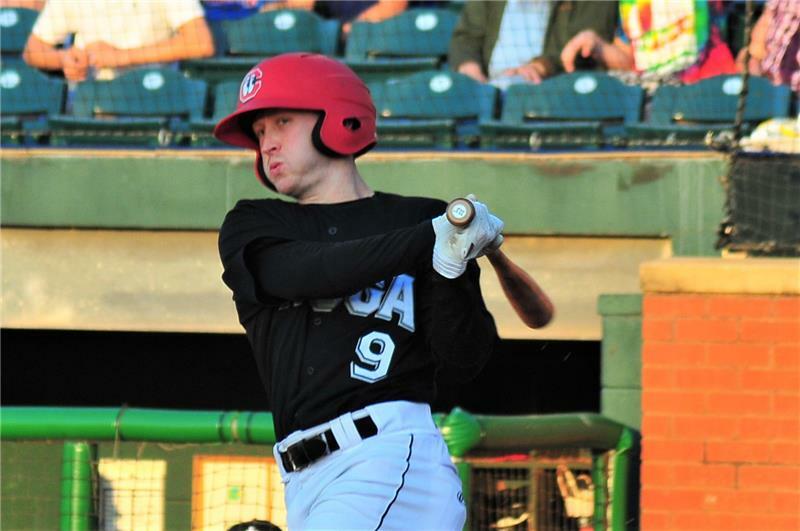 In a lengthy game (3:24) that saw 21 runs scored, a total of 27 hits, 3 errors, 6 wild pitches, 6 batters hit-by-the-pitch, one balk, one home run, and even a triple-play, the Lookouts managed to prevail and come away with an 11-10 win. Four hits from Brent Rooker, four runs by Tanner English and a triple play propelled theLookouts to a hard earned victory over the Montgomery Biscuits at AT&T Field on Saturday night. 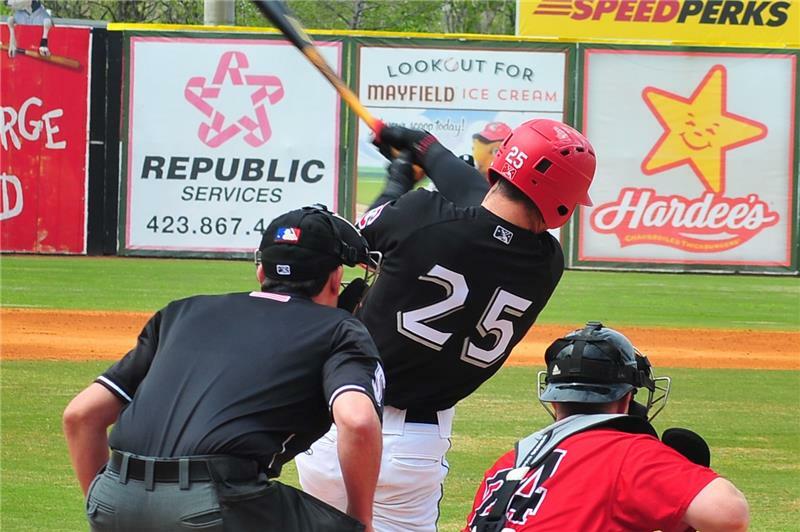 In all, the Lookouts scored in each of the first six innings as they tallied 13 hits. Rooker kicked off his stellar night by hitting a double in the first inning. He followed that up with a home run in the second and singles in the fourth and seventh to finish a triple shy of the cycle. He is the first player to rack up four hits in a game since Chris Paul did so on May 8th against Jackson, while his three runs were the most he scored in a single game this season. Meanwhile, Tanner English became the first Lookouts player to score four runs in a game this year. The outfielder is now hitting .310 since April 30th and has nine multi-hit games in that span. Ryne Harper became the third reliever to have four saves in a game this season, pitching a pair of scoreless innings to close out the game despite coming in with the bases loaded in the 8th inning. That was thanks to a special defensive play, as Brian Navarreto, Chris Paul and Rooker combined for the first Lookouts triple play since August 21st, 2015. The batter deadened the pitch straight into the ground and an aware Brian Navarreto picked up the ball just in front of the plate, stepped on home, threw to third baseman Chris Paul for the second out and then over to Rooker at first. Chattanooga and Montgomery will meet one final time in the rubber game of the series Sunday evening. when RHP Cody Stashak (1-0, 2.60) makes his first start since July 25, 2017 opposite RHP Eduar Lopez (2-2, 5.11 ERA). Following the game, enjoy a special Memorial Day weekend fireworks show while kids will be able to run the bases! Tanner English went 3-for-4 and scored four runs.